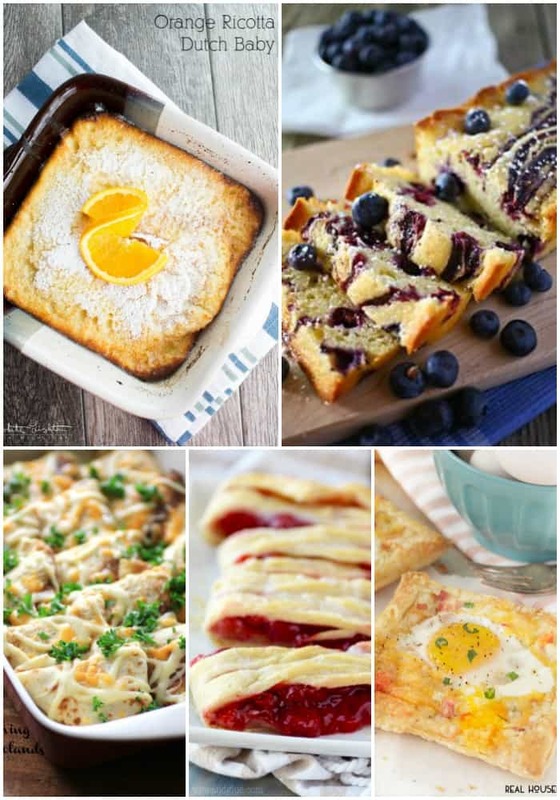 Mother’s Day is just around the corner, and these 25 Recipes Mom Will Love are everything you need to surprise Mom with a delicious meal to say thanks! Like these recipes? Pin them to your MOTHER’S DAY pinboard! Delicious drinks are a must! we love everything from flavorful faux-tails to simple sangrias! 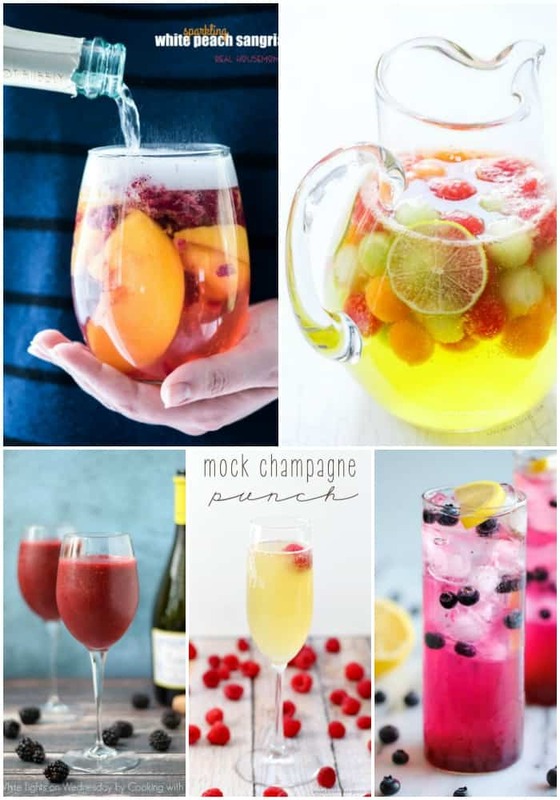 Sparkling Peach Sangria – A fizzy cocktail is always the way to go! Ginger Melon Sangria – So pretty and great for a crowd! Wine Smoothie – Crazy easy to make and super yummy! Mock Champagne Punch – Fizzy and fun, perfect for any occasion! Blueberry Lemonade – Fresh flavors make this lemonade a big winner! 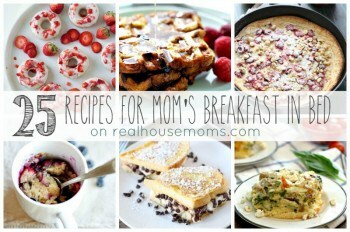 Whether Mom likes her breakfast sweet or savory, we have you covered! Orange Ricotta Dutch Baby – Toothsome and oh so good! Mom will swoon! Blueberry Swirl Pound Cake – A slice of cake with her morning coffee or tea will win you brownie points! Crepes Lorraine – Easy to make and so fancy! Cherry Almond Braid – Ready to rival any pastry shop! Ham and Cheese Egg Pastry Tart – A perfect breakfast bite to treat mom! 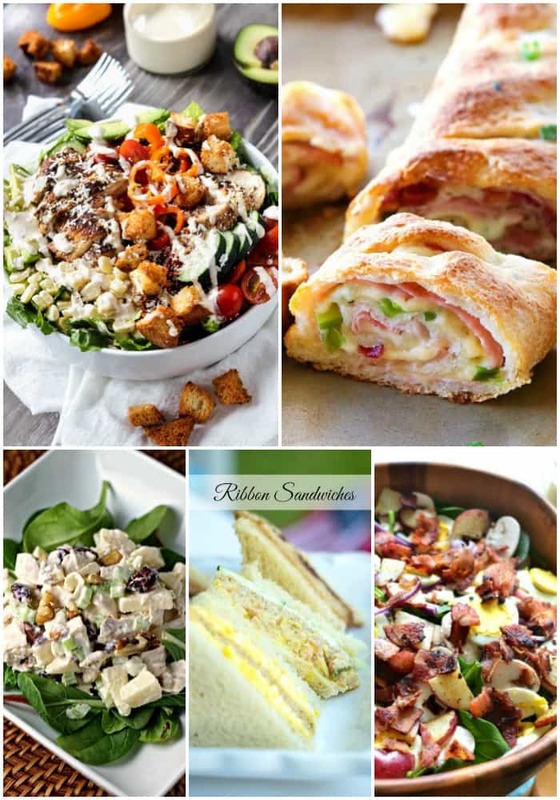 These easy to make lunch recipes are great for serving a crowd! Garden Caesar Salad with Lemon Basil Chicken – I could eat this every day! Ham & Swiss Stromboli – Warm and cheesy, this baked sandwich is the best! “Waldorf Style” Chicken Salad – A fantastic lunch dish any day of the week! Ribbon Sandwiches – A classic bite that’s great for tea parties at home! Spinach Salad with Warm Maple Bacon Dressing – My salad obsession!! 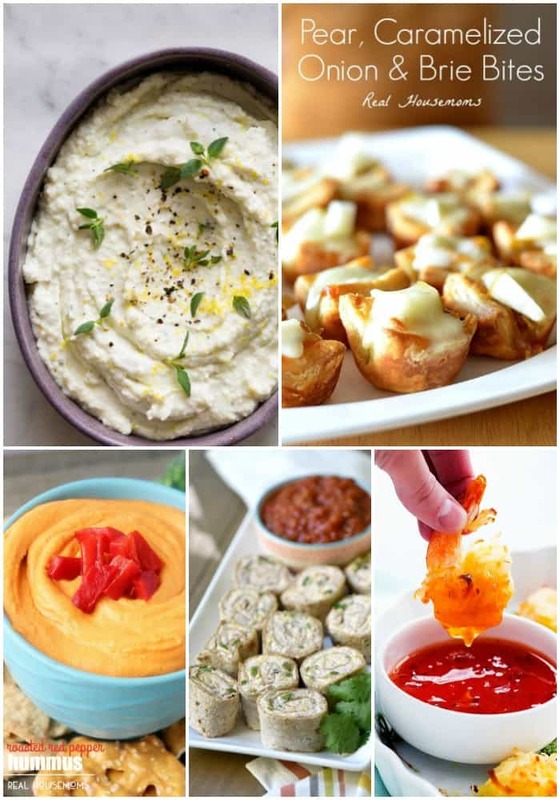 Finger foods and dips are always a hit with Mom! It’s like being at a fancy party…at home! Black Pepper and Lemon Asiago Dip – Grab the chips and dive in! Pear Caramelized Onion and Brie Bites – I bet you can’t east just five! Roasted Red Pepper Hummus – Homemade is SO much better than store-bought! Chicken Jalapeno Popper Pinwheels – Perfectly poppable with a kick! Baked Coconut Shrimp – I could a plate of these by myself! Sweets for your sweet! We have flavors to please any pallet! 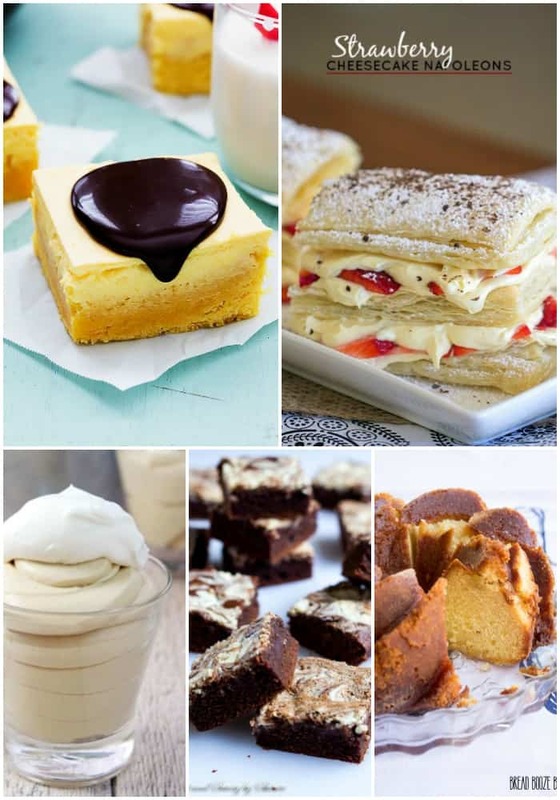 Boston Cream Pie Bars – Even better than the original recipe! Strawberry Cheesecake Napoleons – Looks super fancy, tastes awesome, and is crazy easy to make! Cappuccino Cheesecake Dessert – Coffee lovers will swoon for this dessert! Triple Chocolate Kahlua Brownies – A boozy little bite that’ll make you weak in the knees! Rum-Soaked Honey Pound Cake – This cake disappears so fast whenever I bring it to parties!